If this didn't win, which did? It is funny and cute. 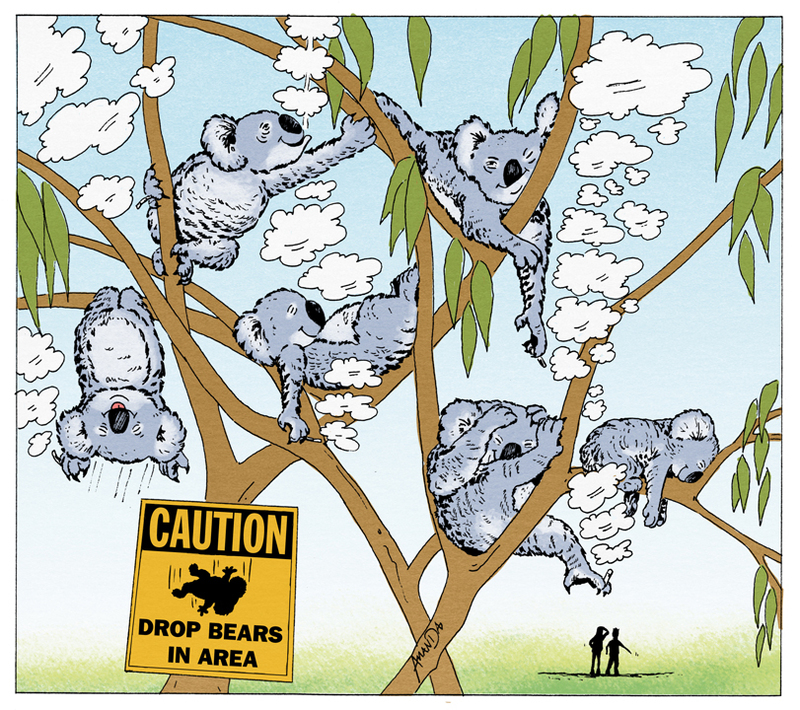 Hehe, I remember warning American exchange students about drop bears in school. They soon caught on but began to believe that our swooping Magpies were a joke also. A painful mistake to make. Very funny! I love this! Such great expressions...Gee I hope Koalas don't get hurt when they fall! perhaps the mistake was the cigarette. :-( but it is a funny and cool work. Great! I really love this!